This is the website of Robert M Place designer of The Alchemical Tarot, The Alchemical Tarot Renewed, The Tarot of the Sevenfold Mystery, The Facsimile Italian Renaissance Woodcut Tarocchi, The Tarot of the Saints, The Buddha Tarot, The Vampire Tarot, The Angels Tarot, and the Marziano Tarot. He is the author of the books that accompany most of these decks. 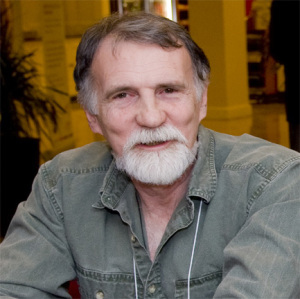 He has also authored The Tarot: History, Symbolism, and Divination, which Booklist has said, “may be the best book ever written on that deck of cards decorated with mysterious images called the tarot.” He is the author of Astrology and Divination, Magic and Alchemy, and Shamanism, written for the Mysteries, Legends, and Unexplained Phenomena series, and the author of Alchemy and the Tarot. He is the curator of The Fools’ Journey and the author of the catalog for this exhibition of Tarot art that originated at the LA Craft and Folk Art Museum in 2010. He was the guest of honor at the opening of the Tarot Museum in Riola, Italy in 2007. His Facsimile Tarocchi is included in the collection of the Metropolitan Museum of Art. He has taught and lectured throughout the United States, China, Europe, Australia, and Brazil. He and his work have appeared on the BBC series “The Book of Thoth,” the Discovery Channel series “Strictly Supernatural,” and on the Learning Channel and A&E. He has been a frequent guest on the Woodstock Rountable on WDST-FM, People are Talking on WKZE-FM , and Mystic Musings on KKUP FM, Darkness on the Edge of Town on KTLK FM, and the Tarot Tribe on Blog Talk Radio. His newest work are a Lenormand oracle deck, The Burning Serpent Oracle, and The Raziel Tarot: The Secret Teachings of Adam and Eve. On both of these he collaborated with Tarot diva Rachel Pollack. He has also just completed The New York Lenormand, a facsimile of an 1882 oracle deck and The Hermes Playing Card Oracle, a collectors set of playing cards that also functions as an oracle. This website is a showcase for his card decks and books and includes his articles in an ongoing blog. Sorry to say that I don’t have a picture of that piece. I only have slides of the few pieces that I used for portfolio items for applying to shows. And I am not sure where most of those are. It came with the deck as a boxed set. You have to look for a used copy on line. I’m looking for el mensaje de los santos guia del tarot. It’s the only one I believe was published in spanish. I don’t have any copies. You will have to search on line. Oh that’s a shame, it looks really beautiful. Does your book The Alchemical Tarot help with the deeper meanings of the Tarot of the Sevenfold Mystery? Thank you. I love your work. I have 3 of your decks and can’t wait for the full Raziel deck. it explains the Renaissance view of the cards that the That the Tarot of the Sevenfold Mystery is illustrating. The minor suits in the deck are based on the Alchemical Tarot. Thank you so much for sending me a copy of your book and deck, that I had ordered through Amazon in such a timely manner. It arrived on 11/9/2016 (As shocking to me as 9/11) in the morning with a knock on the door, just as I was contemplating about if it was even worth the bother of getting up! It’s arrival was a reminder for me to follow my passion and vocation no matter how crazy the outer world becomes. I am about to teach a 4 week Tarot class and ran into your site as I was looking up Pamela Coleman Smith correspondence with Alfred Stieglitz. Hi Robert, my husband Neil works out at your gym and says he’s known you for years and your a very nice man. I’m interested in having my tarot cards read. Do you give personal readings? Yes, email me at alchemicaltarot@aol.com and we can talk about it. I would love to own cards, but would rather purchase directly from you. Is that possible? Yes, email me at alchemicltarot@aol.com and let me know what you want to order. I will send you a PayPal invoice. Or you can just go to the individual pages on my site and there is ordering information on each page. Hello Robert! I bought your book the Buddha companion many years ago, I also bought the cards. I still have them but I noticed in the book that I had bought it said something about it was a early release book or words to that effect and it did not have all the pictures in the book of all the cards, were there many of them released like that? If so does it make the book any more valuable? I own over 300 tarot decks and am a retired professional reader. I love the book and deck and would not want to sell them I would just appreciate an answer to my question, thank you very much! Those are limited editions of a book that are sent out to reviewers before the actual publication. Do that the reviews can get out early. They are not more valuable. Thank you for your response, I was just rather surprised when I opened the book and the pictures for each card were not there! I do love the book and cards they are so beautiful and they speak to me every time I use them! I am a retired tarot reader and have read cards for many years. There are not a whole lot of tarot decks that really speak to me but the Buddha tarot is definitely one that does! I lent someone my Tarot of the Saints deck and never got it back (except for the book and the Jesus, Mary Magdalene, and Sofia card, which I have framed). Replacing the rest of the deck is quite expensive. Any chance of a new edition, or a recommended less expensive source? Sorry, I don’t have any plans for that deck. Would ever consider re-releasing Tarot of the Saints in the future? I have just recently discovered that the deck exists, I felt an immediate connection to it from the pictures that I did see, but I just simply cannot justify what is being asked for it online these days (in Canadian funds it’s equivalent to a month’s rent for me). Thank you kindly. sorry, I don’t have any plans to reissue it. Please release the Vampire Tarot again if possible, it’s beautiful.